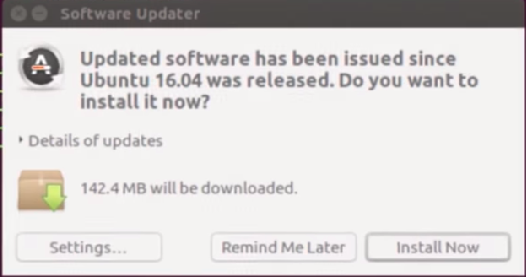 If you are planning to upgrade to Ubuntu 18.04 and you don't know how to upgrade ubuntu 16.04 to 18.04 then you are the perfect place. I will show you how to do it, follow the following steps to install it. Search Software Updater & Select Software Updater. 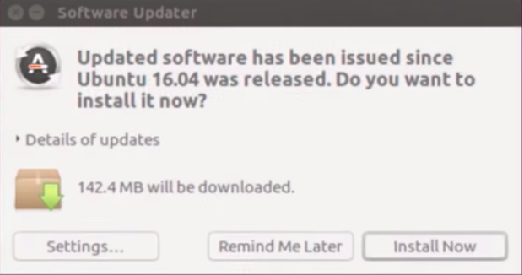 Select Setting from Software Updater. Go to Updates tab and Then select the following version selection as we are going for LTS(Long Term Support) select Long term Support. After that close this window and click on Install Now. The installation will start we have to wait to complete this installation. After this click on Restart Now Button. You will think that after restart it will finish but not we have just updated the packages, We have to install it. It will again check for update. 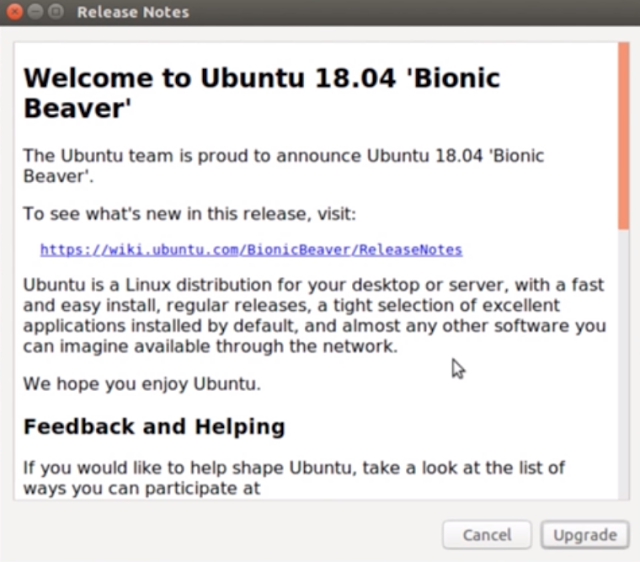 You will see Release Note Pop up window, then click on Upgrade. 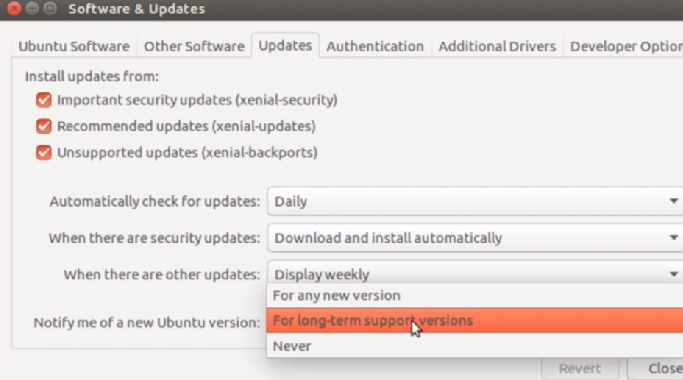 Again it will ask for confirmation, click on Start Upgrade. It will Ask you to remove obsolete Packages, it is up to you if you want to keep it or not. Now Upgradation will start and it will take time when it will complete it will ask you to Restart Machine click on it. You can see the changes on the login screen only, to confirm, Open terminal run following command. !!!!!!!!!!!!!!!!!!!!!!!!!! !Yeppie We are done !!!!!!!!!!!!!!!!!!!!!!!!!!! Please do comment if you have any queries. 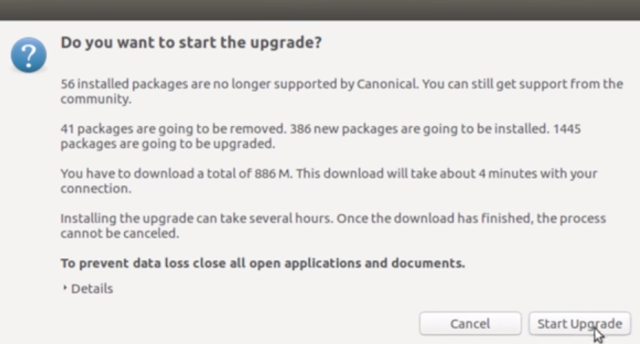 You may want to install Java on your latest Ubuntu version then click here to check post.